For decades, the myth has persisted that aquariums offer a completely peaceful and stress free slice of the ocean that help people unwind after a long day. While viewing an aquarium can reduce blood pressure, literally, owning an aquarium does nothing of the sort. In fact, I have found that aquariums do just the opposite of relieving stress. There’s little question in our minds as to the extent of the dedication of many aquarium keepers to their hobby. These individuals miss work not because they’re sick, but because they are having an aquarium issue. They also stay up late at night, working hard on water changes and tank cleaning. They even ignore their own health, such as bad backs or knees, just for the sake of keeping their systems running at tip top shape. For me, this aquatic obsession has taken its toll. I started my journey as a young boy admiring the small freshwater tank of my parents. I grew in the hobby as most do, but eventually took a different path. I keep multiple aquariums, like the rest of you truly obsessed, but I also dedicate a significant portion of my time blogging about them. Neither of the two benefit my health in the slightest. The aquarium keeping half of my hobby, for the most part, doesn’t really impact my health too much. Unfortunately, I can’t say the same for my stress. Minor problems randomly occur at the most random and inopportune time, and routine maintenance is always tough to fit into an already busy schedule. So, I try to squeeze in water changes whenever possible, usually once everyone is asleep and I can work in peace. As a parent of just one toddler, it is very hard to peel away any “me time”, and with another child in the plans, who knows if I’ll ever have time for my tanks ever again. I don’t know how all if you parents of multiple children do it and still get any sleep at night. As for the blogging half of my hobby, it is surprisingly a lot more stressful. I spend countless hours writing articles, researching topics, and attempting to draw up presentations for the local club. This side of my addiction has lead to significant loss of sleep, high blood pressure, and plenty of other negative impacts on my health. So, the whole notion of aquariums being serene isn’t totally true. If you are not a hobbyist, then it is easy to make the argument that they are. 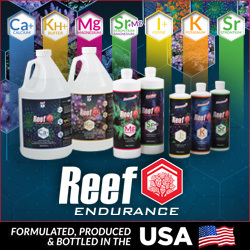 If you are an aquarium keeper, there is no chance that your tank has been a stress free undertaking. If you do it right from the start you will have less issues. Get an Apex and automate your water changes. Do LEDS so you have less bulb expensives. Same with ATO and all that fun stuff. Doser too. You will have less stress and you can enjoy the tank. Prebuild a rock structure out of mortar. If you can’t afford an apex, this probably isn’t the best hobby (reefing) to be in. 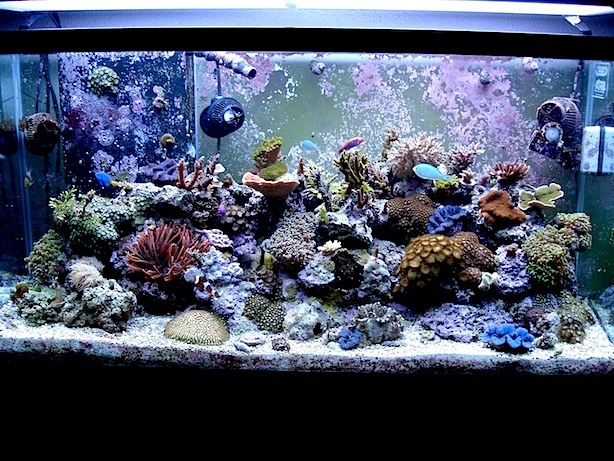 Salt, lighting, coral, food, etc are all expensive and add up over time. I’m not trying to be a jerk, but it seems foolish to get into a hobby that you can’t afford. If it’s a ridiculous comment, how much have you spent on just liverock, sand, corals and fish? Even the 12G tank I started with was expensive. It seems a controller is affordable compares to the amount of money invested in love stock and their health.